Online Bible version 4.27 is now available for download. This update is supplied as new Basic Pack and contains all updates in the software as well as updates in the content of the Base Pack. The Matthew Henry Study Bible app is developed to supply the user with a handy tool to access the Bible with commentary and devotional thoughts by Matthew Henry. 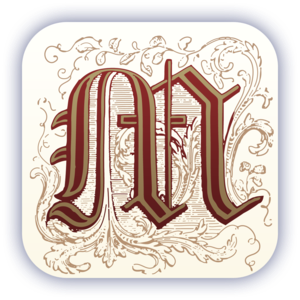 The Matthew Henry Study Bible app is available for the iPad and iPhone users and there is a Kindle ebook-edition. The text from the Bible (Authorised Version) is accessable together with two editions of the Matthew Henry (both the concise as well as the full unabridged edition). Here follows an overview of the different editions, the content and possibilities. The Matthew Henry Study Bible for Kindle is an ebook-edition for the Kindle and currently one of the most widely appreciated editions of the Matthew Henry Study Bible. It comes with the concise edition of the Matthew Henry and a Bible of choice. Complete Study Bible containing the Bible text as well as Matthew Henry’s devotional study notes. Bible text and devotional notes are fully integrated. You can read the bible text and notes without the need to jump back and forth to different locations. No need to switch between Bible and Commentary. You find Bible text and Matthew Henry notes close to each other, clearly distinguished from each other by typeface and background. Optimised in design as well as readability. Clear distinction between bible text and commentary. Matthew Henry Study Bible with Authorised King James Version ..
Matthew Henry Study Bible with Revised King James Version (Webster-edition) ..
Matthew Henry Study Bible with Darby Translation ..